Husain is in Brussels to take part in a special session of the European Parliament’s Committee on Development (DEVE), dedicated to food security. He is also WFP’s Director of the Food Security Analysis and Trends Service and has authored several flagship reports highlighting the links between hunger, conflict, migration and climate change. Husain highlighted the latest United Nations report on world food security, co-authored by WFP, according to which global hunger was on the rise again, affecting 815 million people in 2016, after declining for ten years. In terms of numbers, he said, this represented 38 million more people than the previous year, the increase largely due to the proliferation of violent conflicts and climate-related shock. Sixty percent of these 815 million of people live in places affected by conflict. Husain said that 80% of the WFP resources were used in countries which are experiencing conflict. “That is one of biggest messages. If we want to get to zero hunger by 2030, which is the second Sustainable Development Goal, we must regress conflict first”, he said, adding that there was no way to reach the target without finding a solution to conflicts. The WFP official explained that two prerequisites were key for assisting people in conflict areas – full humanitarian access to people in such areas (he mentioned Yemen, North-East Nigeria, South Sudan, Somalia) and enough resources to provide the people who are suffering “the right benefit at the right time in a sustained way”. “But if the conflict doesn’t go away, we will have to continue to do this”, he added. Asked if more aid was needed, he said that was indeed the case, but it was not the only problem. He explained that in 2016, $27 billion was allocated globally to humanitarian assistance. This represented a forth yearly consecutive increase but despite that, this assistance was still only 40% less of what was needed. Moreover, 50% of the 27 billion went to five countries (Syria, Yemen, Iraq, South Sudan and Ethiopia). “The other half went to 43 countries, but in those 43 countries, compared to what was needed, some countries got 5%, some countries got 95%”, he said. 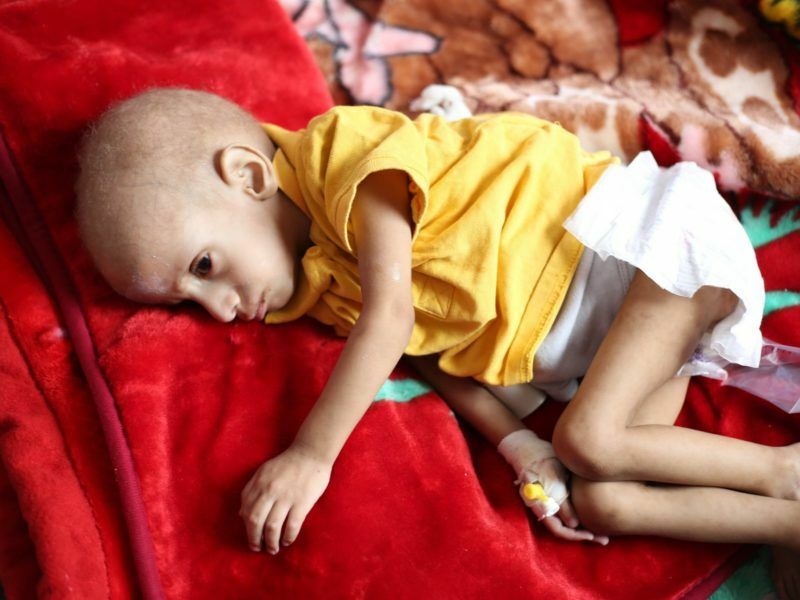 In Yemen, there were 17 million people in need of assistance while the international efforts reached only 7 million. “The point is that money is coming in, but because conflicts are not going away, it is not enough”, he repeated. The WFP official also explained that the conditions of access to those in need were important, describing that bringing food to South Sudan by road cost seven times less than by airdropping it. “If it is a live conflict and you have to provide assistance to people in a besieged area, that will cost seven times more than bringing a truck in”, he said. 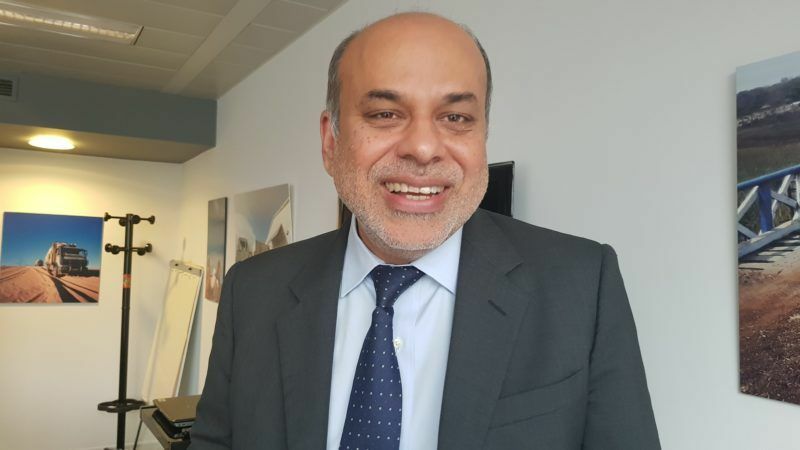 Asked about the “silo mentality” prevailing in the EU and international institutions, which kept humanitarian action separate from development policy, Husain said he was a “huge proponent” of bringing the humanitarian and development work together. 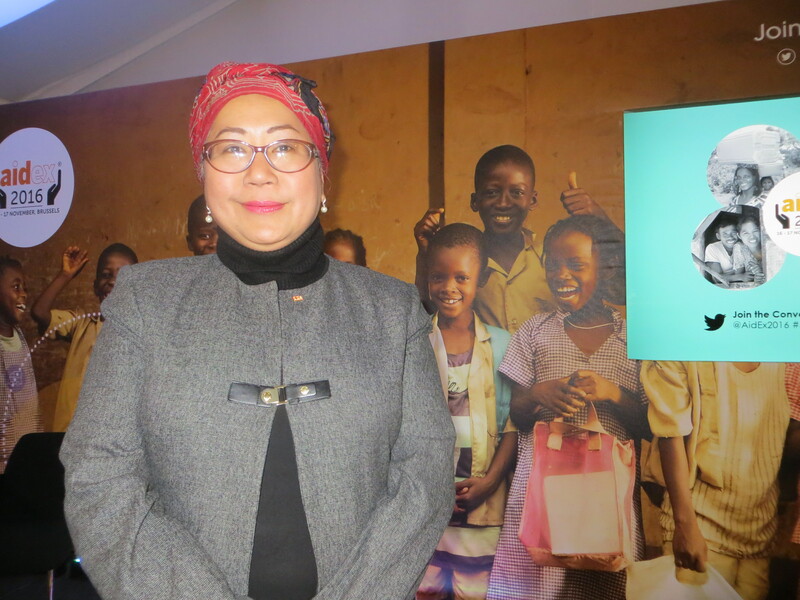 “For me, humanitarian aid, development and peace have to come together. And I say this to many people, we can do our accounting as we see fit, you want to say this is the development money, this is the humanitarian money, fine, but we are talking about the same people”, the WFP official said. He added that even the World Bank was now recognising this, by having set up a department called FCV (Fragility, Conflict, and Violence), whereas until recently they treated conflicts as a random shock event that did not have to be dealt with in a uniform way. “But today, because of what is happening around the world, the environment is conducive to bringing the humanitarian and the development nexus together”, Husain said. Husain said that any conflict was marked with the same characteristics: socioeconomic marginalisation of people, poverty and hunger, illiteracy, young populations, which in the absence of a response, were “fodder to extremism”. To counter this, he said the best answer was investments in rural areas, in infrastructure (roads, electrification), in the agricultural industry, in education, nutrition and social protection. “These are all development-oriented activities. But if we don’t do that, we end up in situations where the humanitarian response becomes really important”, he said. “Whenever we have done this, and there are examples – Northern Uganda, Nepal in 2006, Liberia in 2007-2010, whenever we have come together on the humanitarian and development side, it has worked”. Asked about his assessment of the EU action, the WFP official said the Union and its member states were doing much more than in the past. He called “very significant” the rise of support from the Commission to WFP, from €237 million in 2015 to over €800 in 2016. He said the EU engagement was not the same around the world and there were certain areas for which more support was provided, with clear geopolitical reasons for that. The EU is reportedly less present in the so-called “four famines” (Yemen, South Sudan, north-eastern Nigeria and Somalia), but is very present in the response to the Syria crisis, also in the context of the refugee crisis. Unseen and unheard crises, such as in Yemen and in the Lake Chad basin in Africa, are probably as bad as in Syria – where the International Federation of the Red Cross and Red Crescent has already lost 57 aid workers, Jemilah Mahmood says. “Division of responsibility” was a normal thing, Husain argued, but added that the international community also had the duty “to cover the map”. “For us, the main thing is to help on the political front to resolve some of these conflicts – that’s what is needed. If the conflicts continue, we talk about four famines this year, how many next year”, he questioned. Asked about the EU efforts to stem the migration flows, the WFP official said that according to studies made by his organisation, the vast majority of people in developing countries wanted to stay where they were born, but their choice needed to be encouraged. “Nine out of 10 Africans want to stay in Africa, 8 out of 10 Asians wants to stay in Asia. The overwhelming majority don’t want do to come to Europe; this is a very surprising finding for people. They don’t, because of the culture, the language, the fewer skills, just being away from home”, he said. Husain advised the EU to invest so that Syrian refugees can stay closer to their country. He quoted figures according to which giving the same benefit to a Syrian in Germany costs 16 times more than providing for him in Lebanon or in Jordan, “forgetting political and security costs”. “People don’t want to go. It’s cheaper to help them there. For me it’s a very logical decision which has political appeal: please help people where they are, and help them not only on the humanitarian side but also on the development side. There is an expression “food as a weapon of war”. Why not “food as a weapon of peace”? Building resilience of people in those places will make sure the next generation will not suffer, and this generation will not become fodder for extremism”, he said.